If you are looking for Cheshire wedding venues with accommodation, you are in the right place. Having accommodation at your wedding venue can be a welcome essential for most brides and grooms. With our wedding guest accommodation, there’s no need to rush for a taxi or say a hurried goodbye. 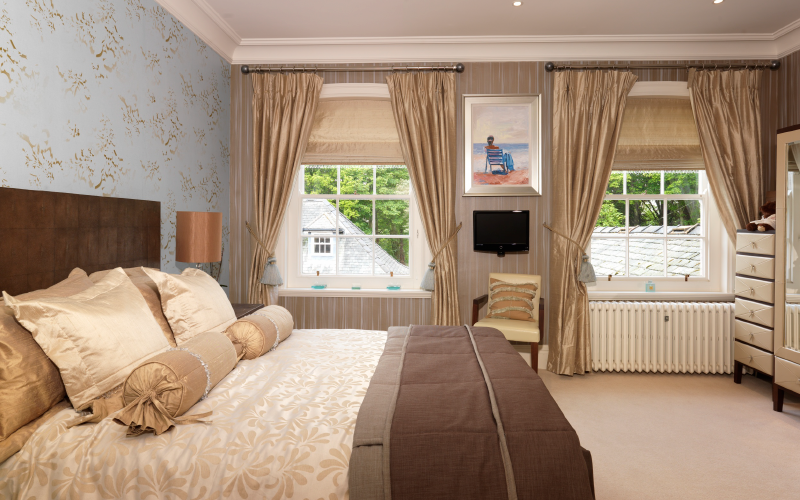 Simply climb the stairs to one of our six stunning bedrooms. 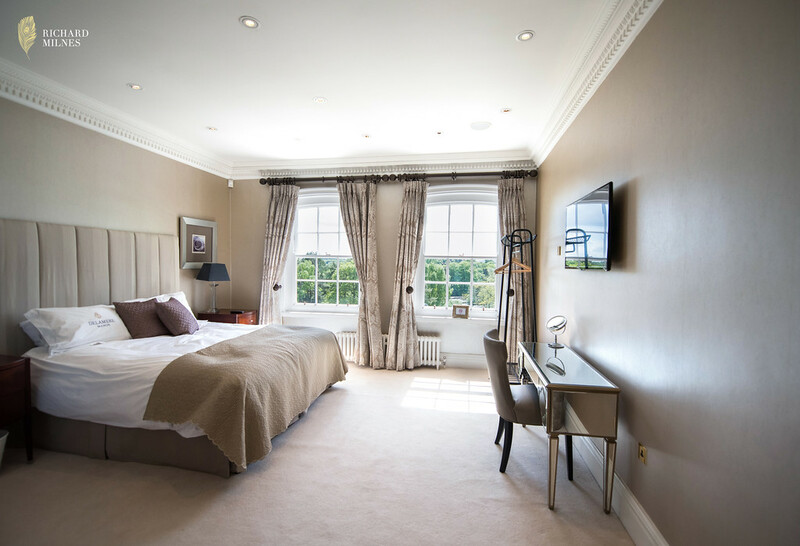 Our bedroom suites are named after previous owners of Delamere Manor and are large, lavish and can accommodate up to 12 guests. 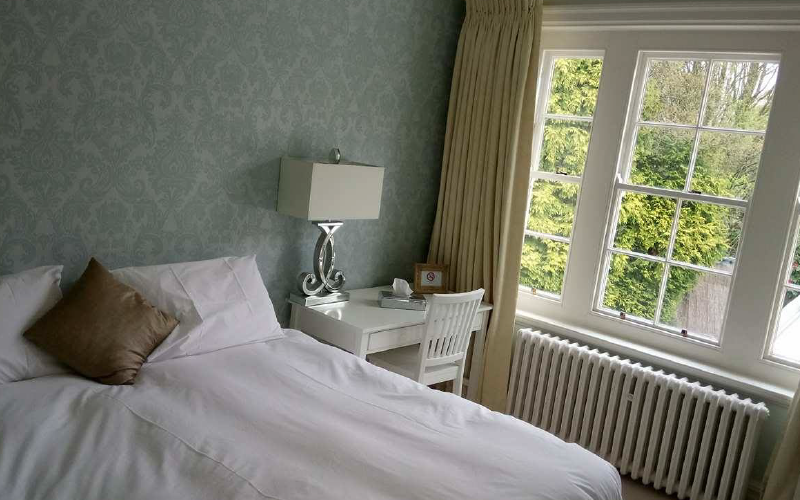 All of our wedding guest accommodation has luxurious Egyptian-cotton bedding from renowned Richard Haworth, and linen and towels stamped with the iconic manor logo. 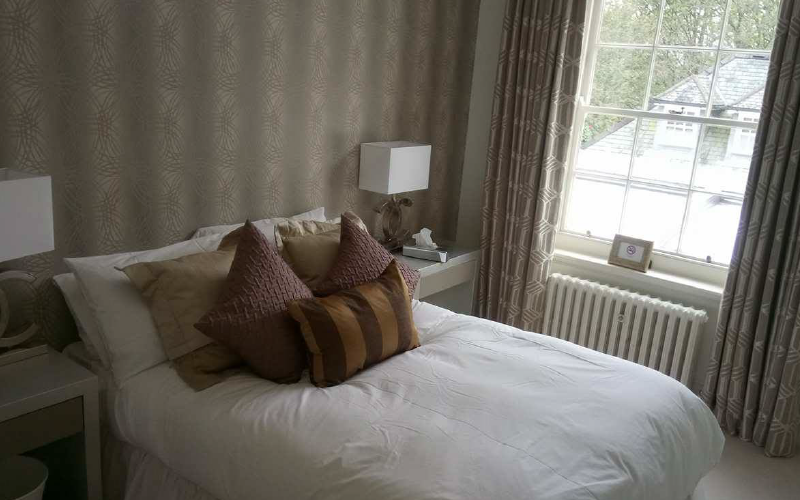 This indulgent suite has a super king bed with the flexibility to include an extra single bed if required. 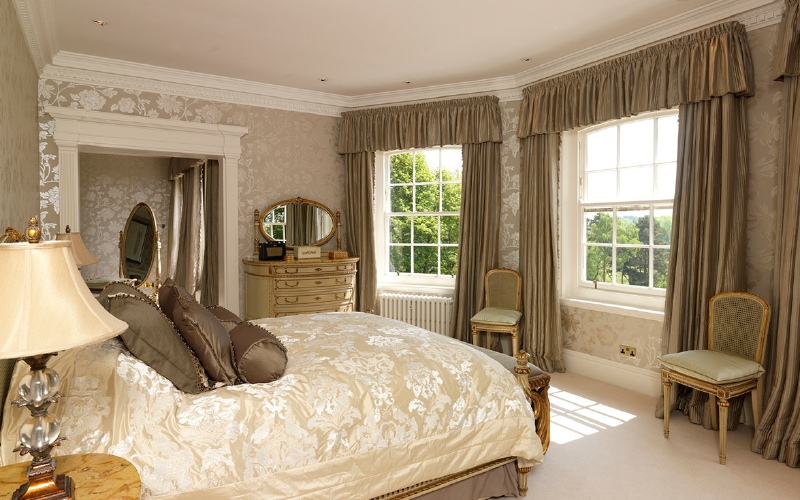 With a lavish en suite and walk in shower, the room also has magnificent views across the estate. Most Cheshire wedding venues with accommodation will cater for immediate friends and family. However, there is an abundance of additional accommodation for your wedding guests a short drive from Delamere Manor – please ask us for some of our recommendations.